Jemini Crafts: When is a flower not a flower? When it's a hedgehog of course! When is a flower not a flower? When it's a hedgehog of course! I am always amazed at the ways other demonstrators and artists can see beyond the obvious images in a stamp set. The Painted Harvest is an example of that. 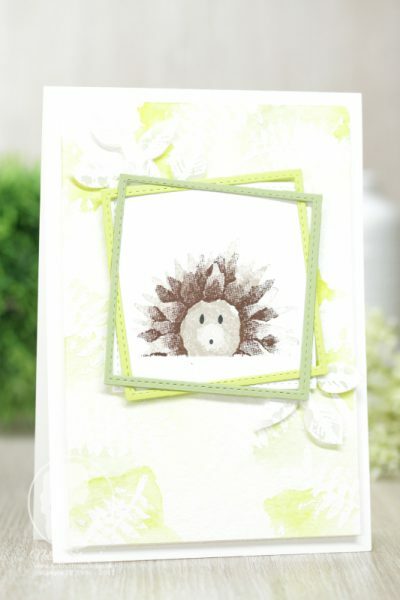 Cornelia Janssen, a demonstrator in Germany completely changed the look of the sunflower in the Painted Harvest stamp set, making it into a cute hedgehog, which she shared. 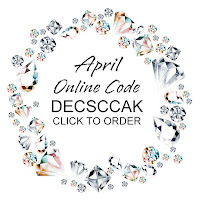 This is her sample, and you can click on the photo to go to her blog post. 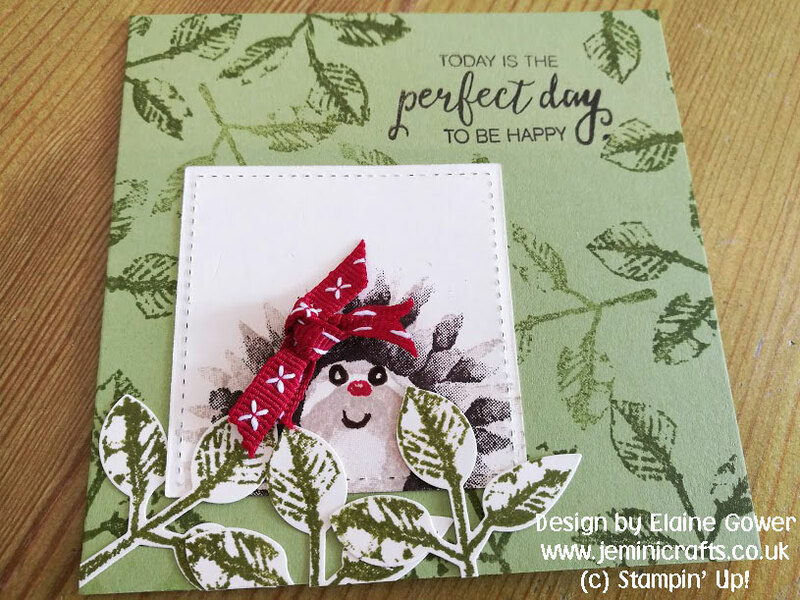 So at coffee and card this week I challenged Elaine Gower from my team to have a go and make a hedgehog card from the set. She did an amazing job, and here is her finished card made there and then. How fabulous Elaine, thank you. I love the addition of the ribbon, making her into a girl hedgehog. To see more designs from the set, you can visit an earlier posting.